Taylor Phinney took his first professional victory in the prologue of the Eneco Tour in Amersfoort this afternoon, beating Sky’s Edvald Boasson Hagen and David Millar (Garmin-Cervélo) by seven and eight seconds respectively. 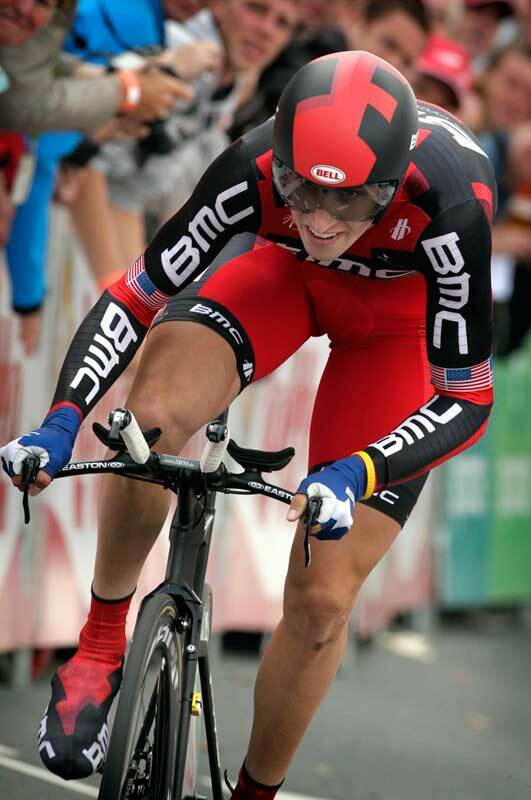 The BMC Racing rider was the only man to post a sub-7 minute time on the technical 5.7km course, something which noted specialists Boasson Hagen, Millar, Alex Rasmussen (HTC-Highroad) and Lars Boom (Rabobank) failed to beat. 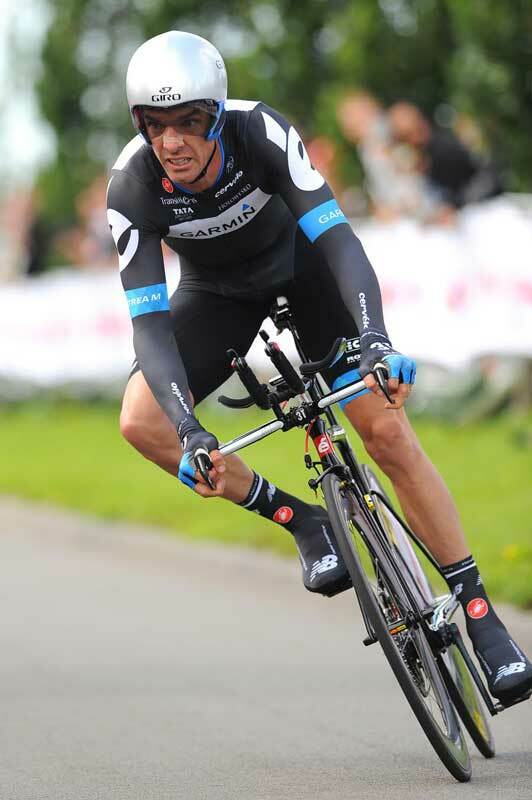 RadioShack’s Jesse Sergent set the benchmark time of 7-09, which Geraint Thomas (Sky) fell six seconds short of. 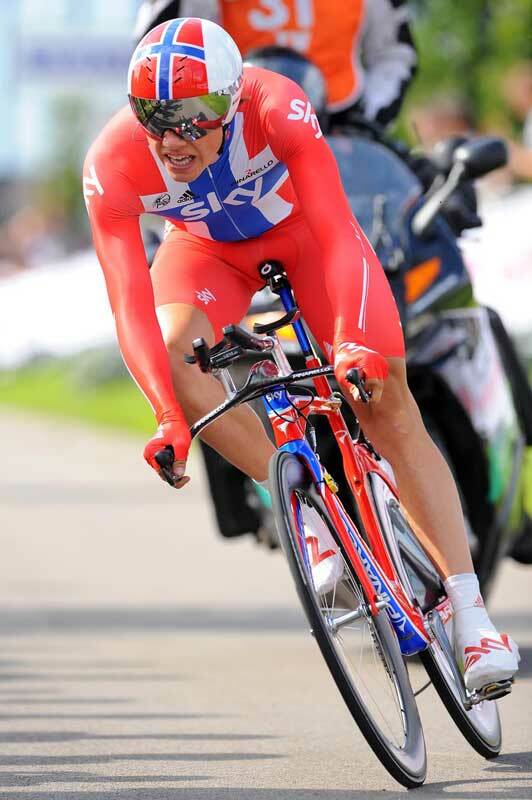 Thomas eventually finished ninth, 18 seconds behind the winner. However, Rasmussen then Phinney eclipsed Sergent’s ride, and despite waiting anxiously for several big-hitters to finish, Phinney’s time meant that he comfortably too the first white jersey of the race. Tuesday’s stage takes the riders from Oosterhout to Sint Willebrord, and is likely to end with a bunch sprint.